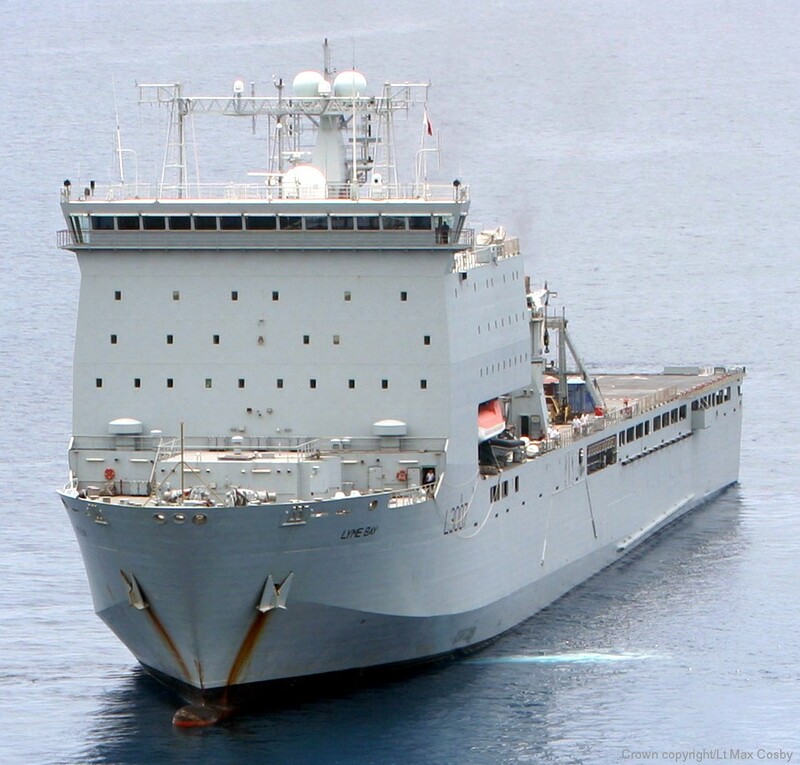 RFA Lyme Bay (L 3007) is a Bay-class auxiliary landing ship dock (LSD(A)) of the British Royal Fleet Auxiliary (RFA). Lyme Bay and sister ship Largs Bay were ordered from Swan Hunter on 18 December 2000. Lyme Bay was laid down at Swan Hunter's shipyard at Wallsend, Tyne and Wear on 22 November 2002. The ship was launched on 3 September 2005. The Bay class construction project saw major delays and cost overruns, particularly in the Swan Hunter half of the project. 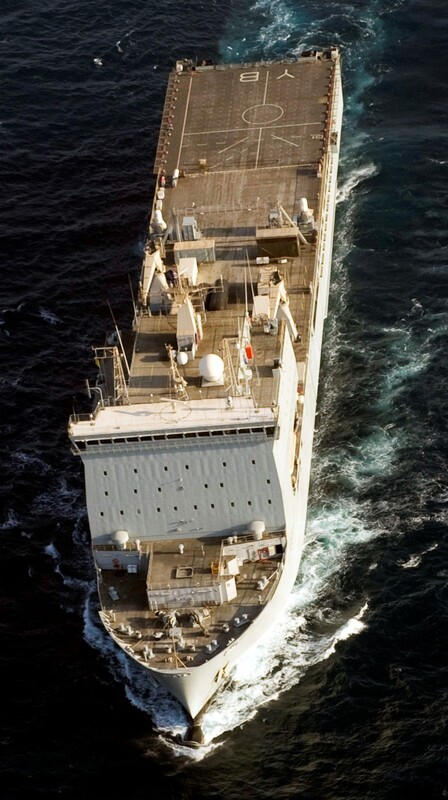 Shortly after Largs Bay was handed over to the RFA, Swan Hunter was stripped from the project, with BAE taking full responsibility for the class on 13 June 2006. Lyme Bay was towed to BAE's shipyard in Govan for completion, departing on 16 July and arriving on the River Clyde on 22 July. The ship was the last to be built on the River Tyne, and the only warship built by Swan Hunter but not completed. 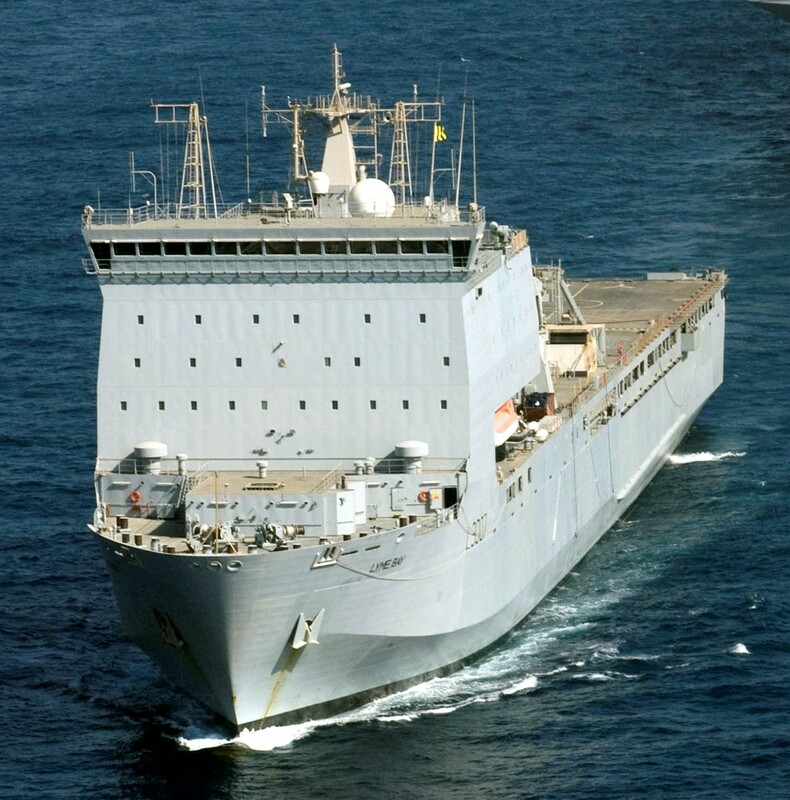 BAE completed construction, and Lyme Bay was dedicated on 26 November 2007; the last ship of the class to enter RFA service. 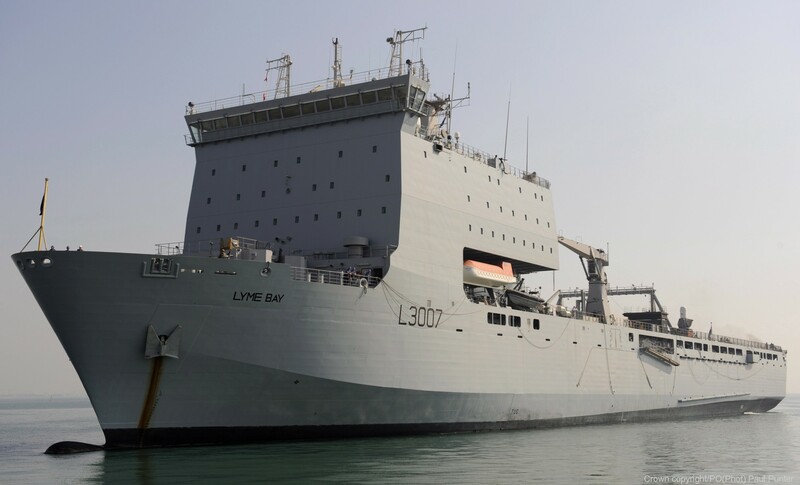 Lyme Bay was deployed for three years on a Maritime Security Patrol in the Persian Gulf, based in Bahrain, acting in a support role of coalition and allied forces. 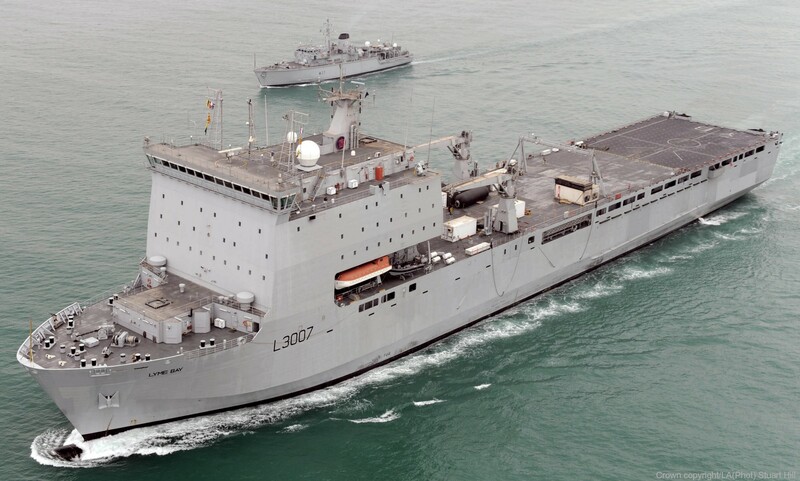 In June 2012, Lyme Bay sailed from Bahrain to return home to the UK undergo a planned refit and regeneration period. In August 2013, she joined the COUGAR 13 task group. 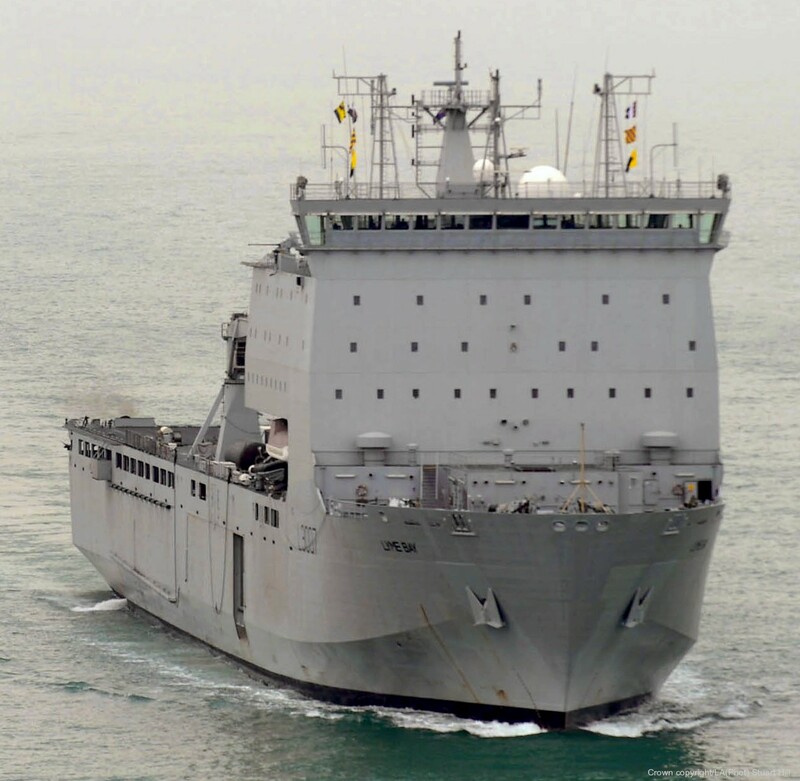 On 16 October 2013 she joined Operation Atalanta, the EU’s counter-piracy force off Somalia; she will rejoin the COUGAR group in mid-November. 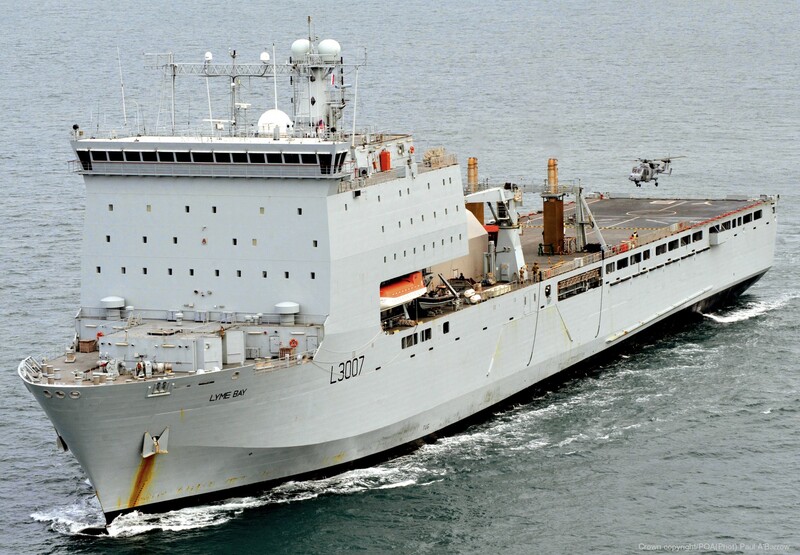 Lyme Bay has deployed for the COUGAR 14 Response Force Task Group exercise. 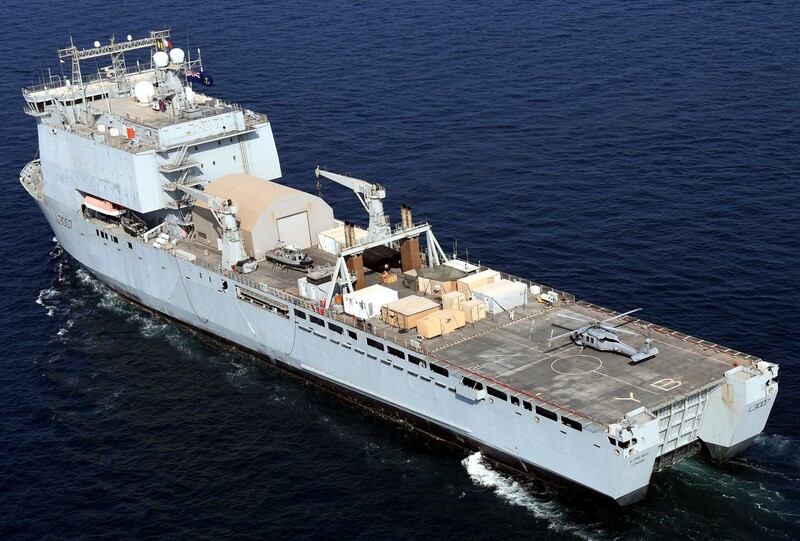 Between June and December 2015 the ship was on Hurricane watch in the Caribbean and had a Lynx HMA.8 from 234 Flight of 815 Naval Air Squadron for the duration. 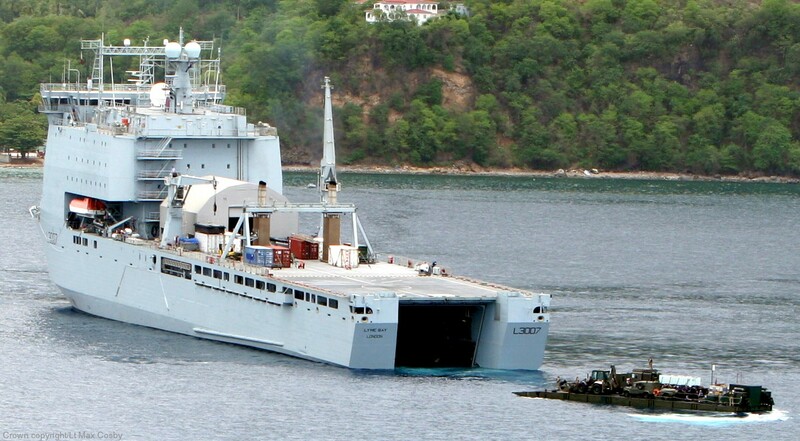 In September she spent six days off Dominica providing humanitarian and disaster relief following Tropical Storm Erika. Lyme Bay finished Atlantic Patrol Tasking (North) in December 2015.